Aurora Expeditions, the experts in expedition cruising, are encouraging travellers to plan ahead and book their 2016 expedition now to save up to $1,200 per person. 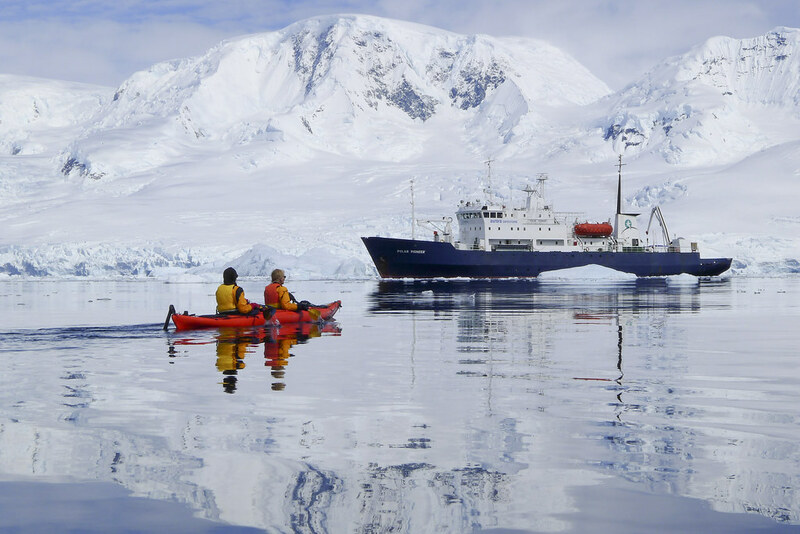 The company is offering a five per cent Earlybird discount across their range of 2016 expeditions including voyages to Antarctica, the Arctic, the Kimberley Coast, Alaska and Ecuador. By planning ahead and booking early, travellers will have a greater opportunity to choose a trip that offers them the experiences they desire, as well as securing their preferred departure date and cabin type. However, travellers must be quick. The 2016 Earlybird Sale is only valid for the first 10 bookings on each departure made before 31 March 2015. Whether you want to paddle past icebergs in Antarctica or Alaska, photograph polar bears in the Arctic, venture deep into the Ecuadorian Amazon, or have your heart set on a cruise along the Kimberley Coast, now is the time to book a 2016 expedition to secure your adventure of a lifetime! • Antarctic & South Georgia departing between November 2016 and March 2017. Each small group expedition is limited to just 60 passengers or less and is packed with daily shore landings and Zodiac cruises, allowing passengers to experience unique encounters with the local environment and wildlife. All trips are led by an expert team of naturalists, historians and destination specialists who help to unlock the wonders of these special places. For more information on Aurora Expeditions’ 2016 expedition program call them on +61 2 9252 1033 or visit www.auroraexpeditions.com.au to order your free Expedition Guide.